If a tree falls in the woods and no one is there to take a picture of it as it happens, can we really be sure it happened? Instagram has pretty much taken the guess work out of this scenario, and has as a result grown to become one of the most popular social media apps around today. Here are our best tips and tricks to help you get the most out of Instagram. If you've found this page, it's safe for us to assume that you're already on Instagram, so we don't need to go into any detail on how set yourself up on Instagram. We'll instead use this opportunity to provide you with some tips and tricks on how you can get more use out of your Instagram account. The Instagram app doesn't automatically allow you to save photos (or even to zoom in, for that matter). We've already shown you how to zoom in on Instagram photos with just the Android system, but saving Instagram photos will require an app. Open the app and sign in with your Instagram login details. Your stream will be reproduced as icons that can be selected, just like in your Gallery app. Find the image you want to save (you can search for users with the Search magnifying glass icon). Tap the Save button at the top right of the screen – which looks like a floppy disk. You'll see the save location of the folder, which you can then explore through your Gallery app. If, at one point, you turned off Instagram's auto-save feature in a flurry of storage-saving madness, you might want to turn that option back on. If you've never poked around in the Instagram settings then you're probably safe and the app is auto-saving your uploaded photos to your device. But if you're not sure, it doesn't hurt to double check. Open Instagram and go to your profile page at the far right. Tap the overflow menu in the top right hand corner (the three dots). Go down until you see the option for ''Save original photos'' and make sure the switch is flipped to the ''On'' position. You can do the same for your videos too if you like. They'll be saved in a folder in your Gallery app. Say you've lost your phone and signed into Instagram on a new device, maybe you'd like to download a copy of all of your Instagram photos to keep on your new phone, or create an archive on your computer? That's easy to do as well, but you'll need to do it on a computer rather than via your phone. Go to the Instaport site on your computer. Login with your Instagram credentials. Choose whether you want to download all photos or just selected ones. If you want them on your phone now, connect your phone to your computer with a USB cable and copy the files to your phone. Save them in the Instagram folder in your Gallery/Photos (or wherever you would like to keep them). Social media apps like Instagram have changed the way we interact with one another. Adding music to your Instagram videos is not a native feature, but you can still customize your videos to include your music of choice. For this, you'll first need a music app like Spotify or Deezer. Activate the loudspeaker, and then play the music you want to include in your video. Open Instagram and go to the Instagram Stories tab (just slide the screen to the left). Start recording your video. The music may stall for a few seconds, but once it starts up again it will continue to play from the point it stopped. After this, Instagram will play your video with its very own soundtrack. Add the unknown caller's number to your contacts. Open Instagram and touch the icon located at the bottom right-hand corner of the screen to access your profile. Then touch the button located in the upper left corner. Once you've done this any of your contacts who have an Instagram account will be listed with links to their profiles. Mystery solved! Naturally, the same rules apply for those contacts you do know and want to start following on Instagram. As a general rule, Instagram doesn't allow users to zoom in on any pictures because it wants the app experience to be as fast as possible. What if I were to tell you that Android had a built-in Instagram zoom feature? Magnification Gestures comes to the rescue here, which is a system-wide zoom gesture that you can find in Android's Accessibility settings. This function works in any app Android app, including Instagram. After you've enabled Magnification Gestures you just triple-tap anywhere on the screen to zoom in. Your screen will get an orange border to indicate you're magnified (in case you couldn't tell). Once you're zoomed in you just use two finger swipes to pan and the usual pinch gestures to zoom in or out. To get out of magnification, simply triple-tap again. You can also temporarily zoom in if you don't want to fully ''enter magnification mode''. To quickly zoom in and look around, just triple-tap and hold. You can then swipe around to move. The gestures will be reversed for some odd reason but it's a much more intuitive way to zoom in quickly. Instagram Direct allows you to cancel any sent messages, including photos and videos you may have sent to friends or groups. Once you've done this, any content is erased from both your smartphone and the recipient's device without leaving a single trace. This is a useful feature for anyone who may have misfired or regrets sending a particular message. Open Instagram and tap on the paper plane icon located in the upper right-hand corner. Open the conversation where you want to cancel a message. Select the text, photo or video message you want to delete and press down on it for a few seconds. Finally, select the "Cancel sending" option. Like many other social media providers, Instagram takes privacy seriously. That said, there are a few important things you need to know before changing your settings, such as who can see your comments or any mentions, how to exclude a follower, or how hashtags work in private mode. Here are the answers to a few frequently asked questions on how best to secure your Instagram account. How to put an account in private? Tap on the three dots menu to access your settings. Turn on the "Private Account" setting. If you do change your mind and decide you want to go out to a wider audience, just follow the same steps to disable the privacy settings on your account. How do hashtags work in private mode? Who can see the posts you've liked if your account is private? Under normal circumstances, when you like a photo on Instagram, it's visible to anyone who can see the post. Only your approved followers can see your posts, including any likes and comments. Likes on your posts won't appear in the Activity > Following feed. When you like a public post, your like will be visible to everyone and your username will be clickable below the post, but only approved followers will be able to see your posts. Privacy is always very important for me. If a user with a private profile mentions someone who isn't one of their approved followers on a photo or video, the person mentioned will be able to see part of the comment in the "You" section of Activity. They may get a push notification (if notifications are turned on), but won't be able to navigate through to the private photo or video. If someone with a private profile leaves a message on a photo of someone with a public account, this comment can be seen by any user of the social network of photos and videos. What happens if the post is shared on another social network? If a person (or you) shares a link from your Instagram photo, the social network hits back with a page 404 - Page Not Found error message. If someone with a private profile shares a photo or video to a social network (like Twitter, Facebook, Foursquare and so on) using Instagram, the image will be visible on that network and the permalink will be active. In other words, the photo will be publicly accessible by anyone who has access to its direct link/URL. How do I remove a follower from my private account? Tap to the right of the follower you'd like to remove, then select Remove. When you remove a follower, they aren't notified that you've removed them. If the account becomes public again in the future, the deleted follower will be able to see your content again. However, if you keep the privacy settings turned on, none of your content will be able to be viewed after deletion. How do I prevent my profile from appearing in suggestions to follow? Your images may appear in Google search results if you've logged into your Instagram account using a web viewer, which authorizes access to your profile and images. These third-party sites have been created with the Instagram API, but aren't directly affiliated with the company. If you don't want your photos or videos to appear on Google, setting your account to private will go some way in helping you. How do I delete or deactivate my Instagram account? When you delete your account, your profile, photos, videos, comments, likes and followers will be permanently removed from Instagram. After you delete your account, you won't be able to sign up again with the same username, and Instagram doesn't reactivate deleted accounts for any of its former users. First, find a PC. Instagram can only be deleted via the website, so you won't be able to do it from the Instagram app. Go to the "Delete Your Account page." Select an option from the drop-down menu next to "Why are you deleting your account?" and re-enter your password. The option to permanently delete your account will only appear after you've selected a reason from the menu. Click on "Permanently delete my account." After you delete your account, you can't sign up again with the same username or add that username to another account, and it can't reactivate deleted accounts. If you're not sure whether you are ready to part ways with your Instagram account, you can opt to temporarily disable your account instead. Again, find a PC. You can only disable your account via the Instagram website. Click on the profile icon in the top right-hand corner and select "Edit Profile." Scroll down, then click on "Temporarily disable my account" in the bottom right corner. Select an option from the drop-down menu next to "Why are you disabling your account?" and re-enter your password. The option to disable your account will only appear after you've selected a reason from the menu. Click on "Temporarily Disable Account." Having an added level of security for social media is always a good idea. To unmute a story you've muted, repeat these steps and select Unmute [username]'s Story. Having your account hacked or simply forgetting your login info is bad, but taking control of your profile on Instagram does not have to become a headache. Turn on two-factor authentication as an additional security measure. 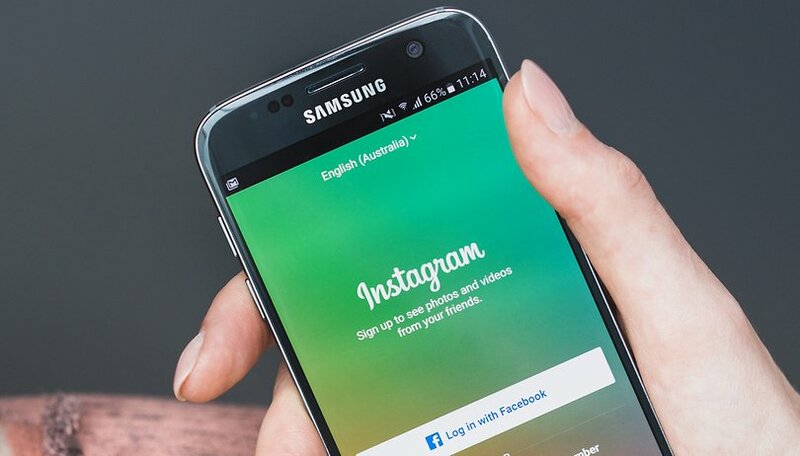 The worst case scenario is that you are no longer able to log into your Instagram account, but this is where the Instagram app can come to the rescue. On the login screen, tap Get help before signing in below Log In. Tap "Use Username or Email," and enter your username or email. Tap on the arrow in the top right-hand corner. Tap "Don't have access to any of these?" then follow the on-screen instructions. Thanks to Instagram the maxim of "Pictures or it didn't happen" has taken on a life all of its own. So, if you're posting pictures of your cat's antics, your home renovations or that weekend you spent at Niagara Falls that no one ever sees, then you're missing the entire point of Instagram. Here are a few tips on how you can attract more followers on Instagram. It's a simple rule: if you're posting poorly shot, blurry pics with fingerprints all over your lens, you shouldn't be surprised if no one is interesting in subscribing to old Grubby McBlurry's Instagram account. Instagram is great for sharing photos directly from your smartphone, but not all smartphone cameras are created alike. If your phone isn't quite up to snuff, you should consider taking photos with a DSLR and uploading those via your computer instead. Remember: Instagram is supposed to be a photographer's dream, not the thing of nightmares. Hashtags let you tap into communities immediately. Add a trending hashtag to a post, or shoot a photo targeted at a trending hashtag, and watch the interest level in what you're posting rise. If you're using hashtags already, look at the photos using that hashtag, and see which get the most likes and engagement. Emulate the winning formula and watch your followers grow. If you're on Instagram then you're probably following people who post the kinds of things you like. If you follow them, talk to them. If you can spark up a conversation with someone with more followers than you, their followers might click your profile to see what you post and, if you've followed our first tip, this should lead to more followers in no time. This tip is etched in stone on the list of all-time social media commandments. No matter what platform you're on, think like your prey. Who are you trying to target and what are their habits? If you're posting about breakfast, do so in the morning – but be sure to post in the right time zone for those you want to follow you. Read up on the best times to post social media content. Knowing when people are sitting on buses and trains or on their lunch break means you know when you can get their attention. You know what makes you stop and look when you're scrolling through your feed. But stopping is one thing, interacting is another. If you post an average photo but give it an awesome caption, the chance of someone stopping to comment increases. Once someone's contributed to your post, you've made them part of what you were doing. Asking questions and being funny or provocative are easy ways to lure people into engaging with your posts more. This may sound silly, but you can't expect followers to appear out of thin air. Generally speaking, the more people post, the more followers they get. If you only make a post once in a blue moon, you can't expect followers to come flocking. Check out the feeds of the people you like and see how active they are. There are tons of guides to better social media strategy on the web, some of it brilliant, written by people who get paid for this kind of thing. These guys get more Instagram followers for breakfast, build brands on a toilet break, increase engagement in the line at the supermarket and make it all look easy. Learn from them. If they're sharing this information for free, you'd be silly not to make use of it. Check out Guy Kawasaki for starters, the most popular guy on the internet. If all this seems too hard, you can cheat, and buy followers. Most Instagram users have a few followers who only post pics about getting more followers, so you could buy into that. Or you can hit Google search and find yourself a paid service that guarantees thousands of real followers for actually pretty decent money. I recently saw an ad that promises 5,000 followers for just over fifty bucks. That's not a bad price to pay to save a ton of effort. If you've ever been at a gig or at a venue and posted photos, you've probably had the bar or venue like your photo. This is ultimately because they're looking for free promotion. Posting about your city is also a great way to get followers, either from others in your city or people who like the look of where you live. If you're posting good shots of popular places, the chance that people will see them and follow you to see more is much higher. This is the single best golden nugget of wisdom. When you consider how many posts stream past everyone's eyes each day, making yours stand out is not easy. So don't just post any old thing, treat each post as if it were your only one. Give it some thought, word your caption well, offer some insight or humor, make your post relevant, clever or funny, mention people, ask questions, tell people something they didn't know. Do that often enough and you'll be surprised by how many people come back for more. These are our top tips and tricks, but it's not by any stretch of the imagination an exhaustive list - there's got to be a few things we've missed. What are your favorite tip (or trick) for Instagram? How have they helped you get more out of your favorite app? Let us know in the comments below. Brilliant article. Greatly enhances the functionality of Instagram. However, I strongly disagree on one point. Never buy followers. Either on Instagram or on Twitter. These sites are just scams that deal in bots, adware and malware. Definitely nothing to spend your money on. If you want more followers, create quality posts that people would love viewing. To any particular follower of yours, what matters is the content you're posting, not how many other followers you have. Nothing to boast about. I agree that buying followers is a bad strategy. Some people do it, but posting quality content and building a true audience is the right way to go.